I hope you've all had a lovely weekend and a great halloween. We are halfway through the week now and the weeks been going quite quick. I know my posts aren't as frequent as they used to be when I started this blog but as I mentioned in my previous post I've started doing work experience and sometimes I'm too tired to type up a post but today I have plenty of energy and I want to share with you a couple of things that I've bought recently. I just want to say sorry about the rubbish quality of the pictures, I'm fed up of using my phone and I need to invest in a good quality camera for pictures. If you know of any good quality cameras please let me know! Anyway last week I came across Gemma from Miss Makeup Magpie's blog post about her Bodyshop Haul. I found out that there was a promo code for 50% off for everything including sale items so I decided to check it out. I'm so glad I came across Gemmas post, I came away with some really lovely products and saved myself a lot of money in the making so I'm absolutely ecstatic. Since reading Gemmas post I always check on Vouchercodes before I decide to do a bit of online shopping to see if I can save myself some money. Altogether I bought 8 products from The Bodyshop website and I'm pretty happy with what I received. The first thing that I bought was the 250ml Shower Gels. If i had paid full price they would have cost me £4 each but because of the promo code they only cost £1.80 each which was an absolute bargain. I got these shower gels in Mango, Vineyard Peach and Raspberry and I am looking forward to using them. I am quite intrigued by the Vineyard Peach shower gel most of all as it has such a beautiful scent. 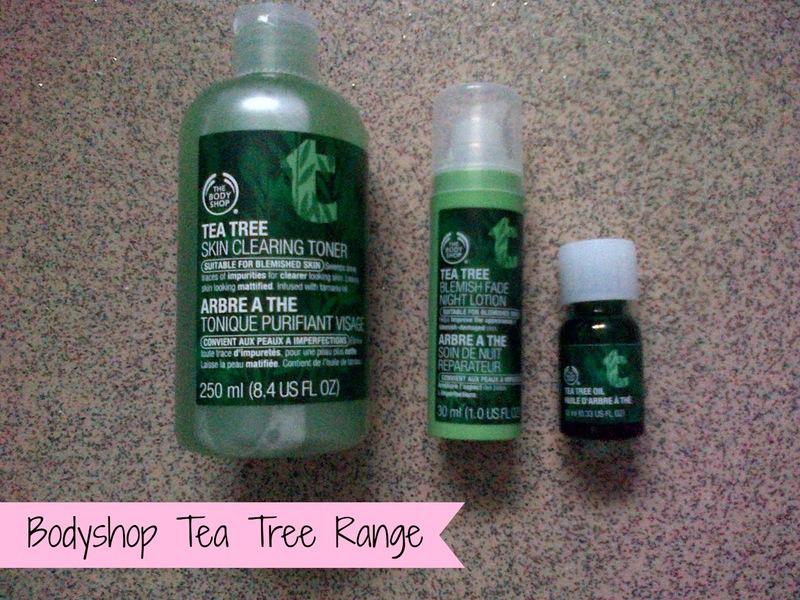 If you have read a previous post of mine about the Bodyshop Tea Tree Range you may know that I'm absolutely in love with it. I always use the Tea Tree products in my daily skincare routine as I have acne prone skin and it really helps to clear my skin and always makes my skin feel refreshed. I also got the skin clearing toner and 2 bottles of tea tree oil which are replacements as they were running out and I needed to get some new ones. I also decided to get the blemish fade night lotion as I've been intrigued by it for a while but I was always put off by how small it was for a £9 price tag. It may not seem like a lot of money to you but I didn't want to waste £9 on something which may not do anything for my skin. The last thing that I bought was this, the Vineyard Peach Body Scrub, normally the retail price is £12 but I got this for only £3! agh, I had to get it before the promotion was over and I'm so glad I did. I've wanted to buy the Vineyard Peach Range for a while and this was always on the top of my list. It's got such a beautiful smell! I haven't used this yet but I am looking forward to trying it out. Overall I saved at least over £30-£40 with The Bodyshop promo code. I really recommend you check Vouchercodes before you choose to do some online shopping, you can save yourself a hell of a lot of money like I did. 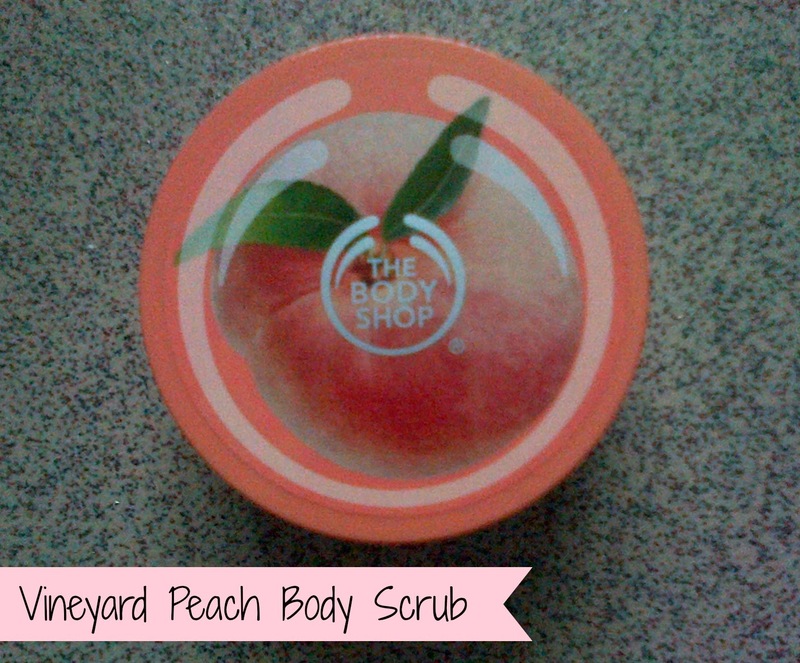 Did you take advantage of The Bodyshop Promo? If so, what did you get?